At the core of every successful business sits satisfied customers. Whether you’re in the starting years of your business, or you’ve been in operation for years, you are defined by how big your customer base is, and how satisfied they are with your products. Many small and medium enterprises (SMEs) have great products, they, however, lack a sizeable customer base. How then, can you, as a growing business, retain your customers, and use them to reach out to more people? When a customer satisfied with your products and customer experience service, they will most likely recommend your business to their friends and family. Thus, your existing customers are a key factor to your growth. Here are a few ways to improve your customer service, and consequently grow your company. When you are growing your company, you have a unique chance of knowing and interacting with most of your customers. As a growing business owner, you should take the time to develop a personalized relationship with your customers. Get to know them by name and make short but meaningful interactions with them. This will bring a sense of belonging and value to your customers and they will stick by your company as it grows. Appealing customer service is all about being present to handle any rising queries. If you want to satisfy your existing customers, engage them at different levels. Instead of just interacting with them when they visit your business, you can be available to tackle their needs on other platforms such as dedicated telephones, emails, social media, and so on. With distributed presence, you avail your customers the options of reaching out to you. Moreover, you can ask them to leave testimonials and reviews on your website and digital platforms. This will subsequently help you gain the trust of potential customers. After your customers use your product, they have an opinion. Based on their opinion, they will either remain as your client or move on to another producer. It is important to get customer feedback. You can use the feedback to customize your current product to fit a specific customer segment. If the feedback is positive, you can also ask the customer to recommend you to their networks. Whichever the scenario, always ensure you have open communication channels between you and customer where they can give honest feedback. Extravagant promotions will undoubtedly excite your customer. As you’re looking to grow your business, you might be tempted to make a promise you cannot fulfill. When you lie to your customers or overpromise on something you can’t deliver, you’ll be pushing customers to your competitors. Be honest and forthright with your customers. Promise only what you can deliver. This way, you’ll have a more committed customer base. Quick read>>> What Should An SME Website Look Like? As your business keeps growing, you’ll need to hire employees to help you with operations. Essentially, your employees are an extension of who you are, and the principles your business stands on. As such, you should ensure you hire great employees who understand the value of customer service. Hiring the right employee can be a difficult task; you may end up hiring someone who counteracts the progress you’ve made. 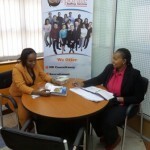 To get the best fit for a position, engage our recruitment services today. We shall strive to get you employees who not only understand their role but also lay focus on retaining your existing customers and growing your business.